Joanne Ashton, Brittany Bryant, Eleanor Callado, Beverley Ashton, Emily Duddy. 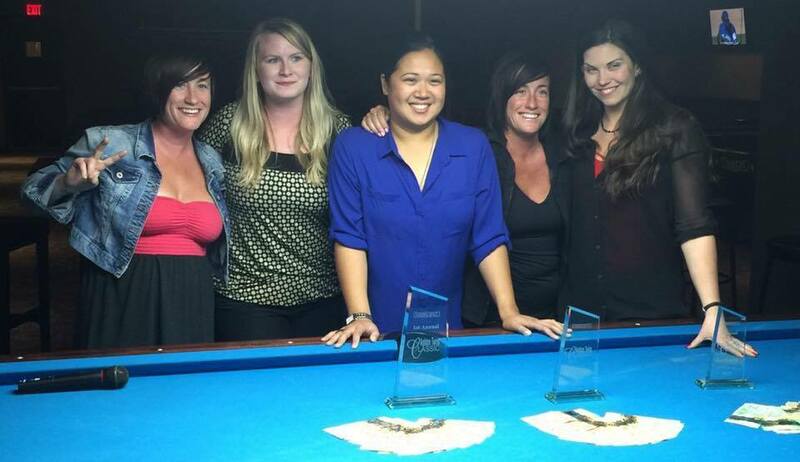 A full field of 32 women descended upon The Hidden Spot pool room in Calgary, Alberta this past weekend June 10-12. I have not personally had the pleasure of attending this room but by all accounts it is one of the elite rooms in the country. 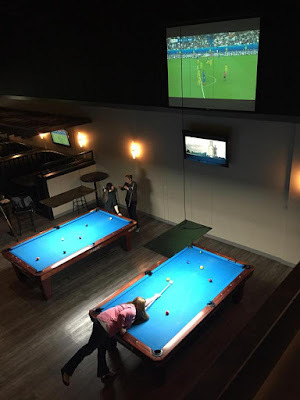 Living in Cornwall, Ontario I literally live on the other side of the country however this room is definitely on my bucket list. This Hidden Spot is known to cater to the players and as a result whenever they host an event players from all around come to take part and last weekend was no different. I had the pleasure of speaking with tournament director Joanne Ashton who holds an exempt player ranking for the W.P.B.A (Women's Professional Billiard Association) and is a former Canadian 9 Ball Champion. 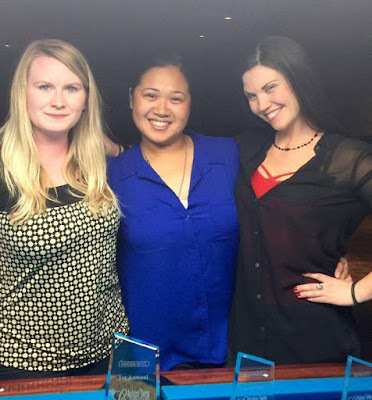 Ashton is a well known and liked player who frequents professional tournaments and has made some great connections along the way. She credits this for the reason why professionals such as Brittany Bryant, Emily Duddy, Janet Atwell, Eleanor Callado and others came to support this inaugural event. While speaking with Ashton she even admitted that she most likely would not travel out of the country or province to partake in a $2000 added event. However the amount of players and the caliber who showed up is a testament to how liked and respected the Ashton twins Joanne and Beverley are. A few women from the Montreal area who I have had the privilege of watching performed well in this event. Veronique Menard a well known commodity for sometime on the women's circuit went undefeated right until the final 4 on the winners side. There she lost 9-5 to the #1 ranked Canadian Women's player Brittany Bryant. Menard went on to lose her next match 9-8 to W.P.B.A professional Janet Atwell who hails from Bristol,Virgina ending her run in the 5/6 position. Nathalie Chabot another Montreal native who is co-founder of her own women's tour called Circuit de Billard Feminin du Québec had a successful event. Chabot started off with edging out Sandy Badger in the first round 9-8 which could be considered a slight upset. In her next match she was beaten by Janet Atwell 9-4. From there she won two matches on the losers side before losing 9-1 to Emily Duddy. It was Canada's #1 who stole the show this weekend going undefeated in this event to claim the $2000 first prize. Along the way Bryant had some very notable wins against other tournament favourites. She defeated Emily Duddy 9-1 and as mentioned before she beat Menard 9-5. In the winners side final she met up with Eleanor Callado and sent her to the losers side final 9-4. Callado met up with Duddy who after losing earlier on to Bryant won 4 matches to earn her shot at the hot- seat. This was a tightly contested match with Callado barely edging out Duddy 9-8, who most of you would remember from the short lived "The Hustlers" reality t.v show. This title meant a lot to me, it is the first real women's event in Canada I have played in since I started. For me this win will always be very memorable, I'm honored to take the first one and can't wait until the next." I would like to thank Joanne Ashton who took the time to give me all the details I needed to write this article. From speaking with her it appears that this event will have a bright future as she believes she will be able to bump the added money up substantially and grow this into perhaps a world class event. 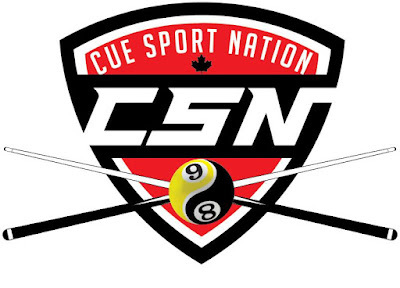 The Hidden Spot will be hosting several bigger tournaments in the near future so stay tuned to their Facebook page or the Cue Sport Nation page for details.